WHERE IS BOBBY SHERMAN NOW? Remember him? He had a pretty good string of hits 35 or more years ago. 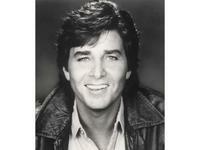 I started thinking about Bobby Sherman when I noticed his birthday is coming up later this week, and he's turning 64. It seems just the other day when I took my -- then -- very young son Stephen to see Bobby in concert here in Nashville. But the reality is that three-and-a-half decades have fallen away since that night at the Municipal Auditorium. Long before Stephen was even born, I was aware of Bobby Sherman being a regular on the show "Shindig! ", from which he emerged as an authentic teenage idol. My son was especially fond of Bobby's hit songs like "Julie (Do Ya Love Me)" and "Easy Come, Easy Go", which topped the charts back in the early 70s. And you might remember Bobby playing the part of a logger on the popular TV show "Here Come The Brides" that was set in Seattle in the late 1800s. He's alive and well and living in Southern California where he volunteers as an Emergency Medical Technician. 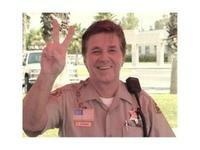 He's also is a sworn volunteer law enforcement officer in both Los Angeles and San Bernardino County. But he carries a medical kit instead of a weapon. Over the years he has established various charities and organizations to help EMTs in California and other places. Bobby's interest in being an EMT blossomed when he was guest starring on the show "Emergency". It's a real example of life imitating art. Bobby is a two time grandfather and -- from everything I can tell -- a good and generous man. I met him in 1989 when we sat on the couch next to each other for about 45 minutes during a taping of the Pat Sajak Show on CBS. During a commercial break, I mentioned to him that I had taken my son to see him in concert 17 or so years earlier. He sheepishly smiled and said, "Oh, I'm so sorry." "No" I assured him.... "I enjoyed the show and your music." "You're kind to say that, whether it's true or not." he said.